June is a very important day in Korean history. Otherwise known as 6.25 (Six-two-five) by Koreans, this is the very day where the Korean War started and it is a day that is still very much remembered in Korea. This week we will take the opportunity to learn more about history of the two Korea’s by going on a half-day trip to the DMZ (DeMilitarized Zone). 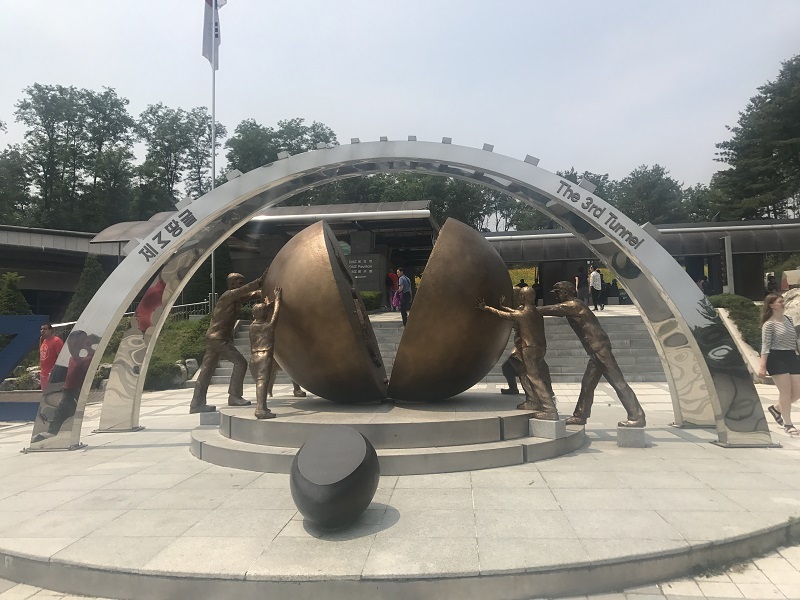 Even though the events that led to the existence of the DMZ are very solemn, the DMZ from the South Korean side is only around 1.5 hours away from Seoul city hall (pick up point) and visitors can easily visit the DMZ every day except for Mondays. 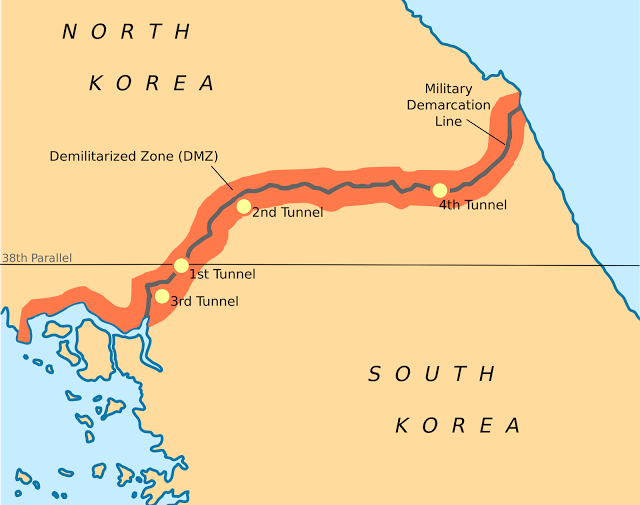 The Korean Demilitarized Zone or the DMZ is a strip of land running across the Korean Peninsula. The DMZ is a barrier that divides the Korean Peninsula roughly in half, created by after signing Korean Armistice (Ceasefire) Agreement in 1953 to serve as zone between the Democratic People’s Republic of Korea (North Korea) and the Republic of Korea (South Korea). The DMZ is 250 km long, and about 4 km wide. 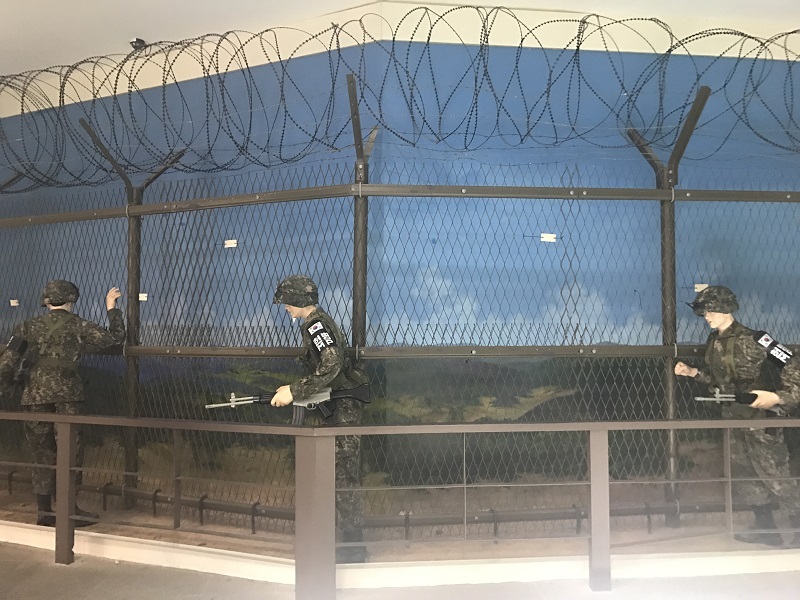 Although it stands for the “demilitarized zone,” the DMZ is actually the most militarized border in the world! How Did The Two Koreas Separate? 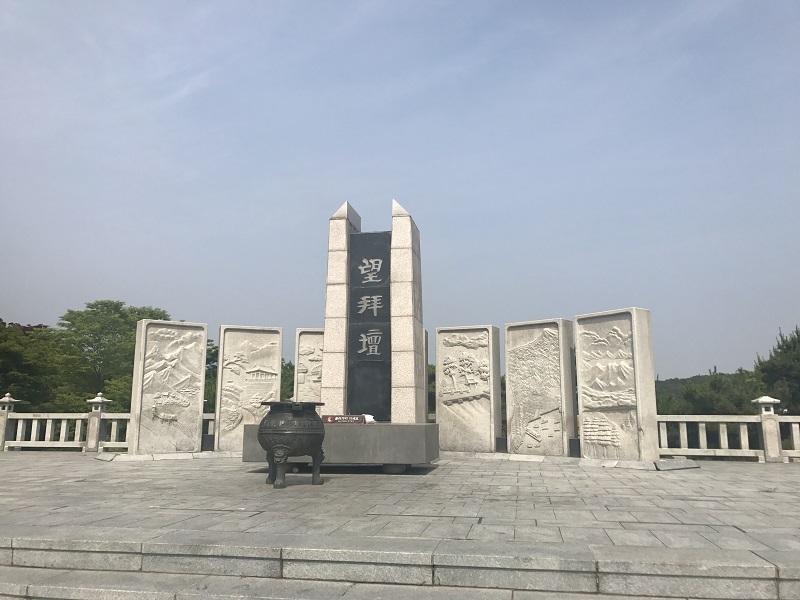 On June 25, 1950 marks the day when the Korean War began when more than 75,000 soldiers from the North Korean People’s Army fought across the 38th parallel.The devastating Korean war lasted from June 1950 until July 1953, which is a relatively short time but many people died. The ceasefire agreement also in the continued division of North and South Korea at just about the same line as before the conflict. So until now the 2 Koreas are technically still at war! Of course it has been some tension for the past year and this place on the 38th parallel is where the DMZ is now up until today. How to Visit The DMZ? 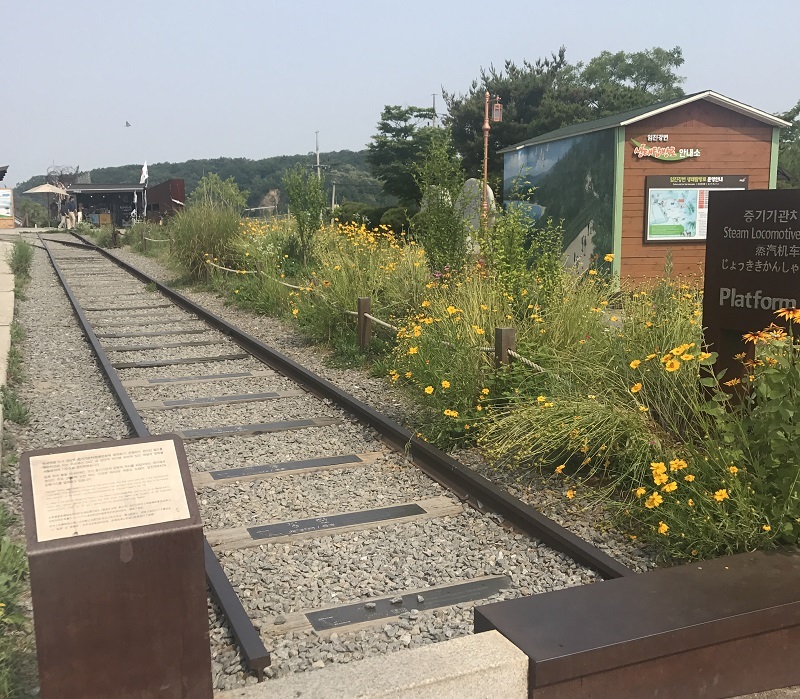 The DMZ that tourists are allowed to visit is located in the region of Paju, around 1.5 hours from Seoul and it has been off limits of normal civilians entry for more than 60 years, you can only join organized group tours to visit as we mentioned above it has heavy military presence. But don’t worry it’s very safe and much visited by tourists who want to visit this interesting place.
? Did You Know: Endangered Wildlife Lives in DMZ! DMZ is a great destination for wildlife. This is because of the clean Imjingang River, wetlands, and nature are very well-preserved with a variety of plants and animals. There are many endangered species like the otters, yellow snakes, seals, and wildcats, etc… able to see in the DMZ. Here’s something interesting: Since the armistice, it wasn’t until 2009 when the first civilian photographer could enter the DMZ, according to National Geographic. However recently, there has been a documentary featuring famous Hallyu actor Lee Min Ho called “DMZ The Wild”. In the show, Lee Min Ho shows us inside the untouched land that has allowed wildlife to flourish for more than 60 years! Lee Min Ho filmed the MBC documentary as a volunteer (no pay) to raise awareness on the endangered wildlife animals in DMZ. Since not anyone can go inside the DMZ, this makes Lee Min Ho’s documentary valuable. If you are interested, you can see a trailer here! 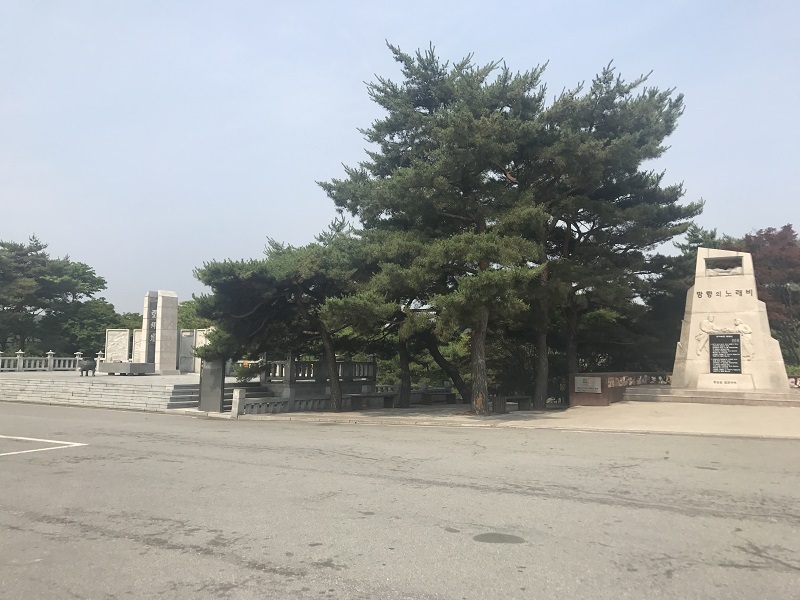 You can choose to join the Morning or afternoon tour that takes you see the main sites and most importantly, there is a professional guide who speaks English and is very knowledgeable in the DMZ and the Korean history. 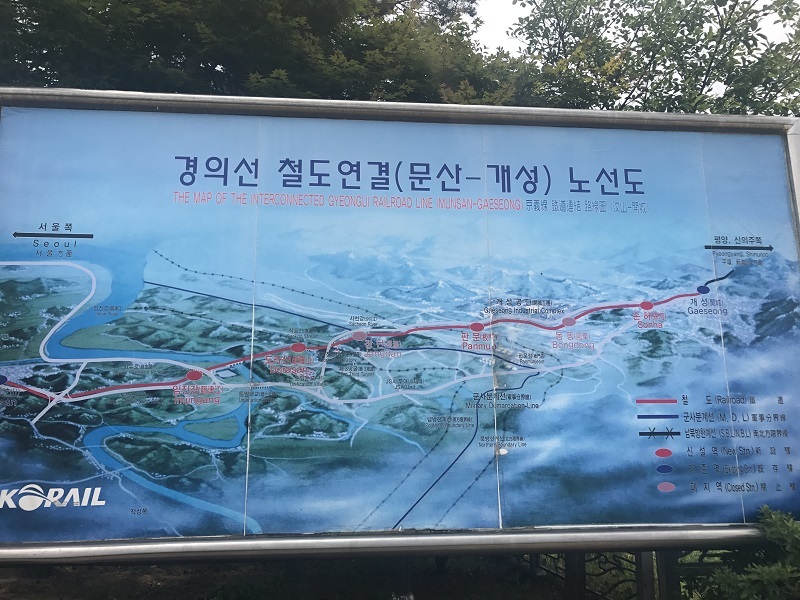 The tour will take you following the course but the highlights of the tour is definitely: The 3rd Infiltration Tunnel, Dora Observatory & The Dorasan Station. 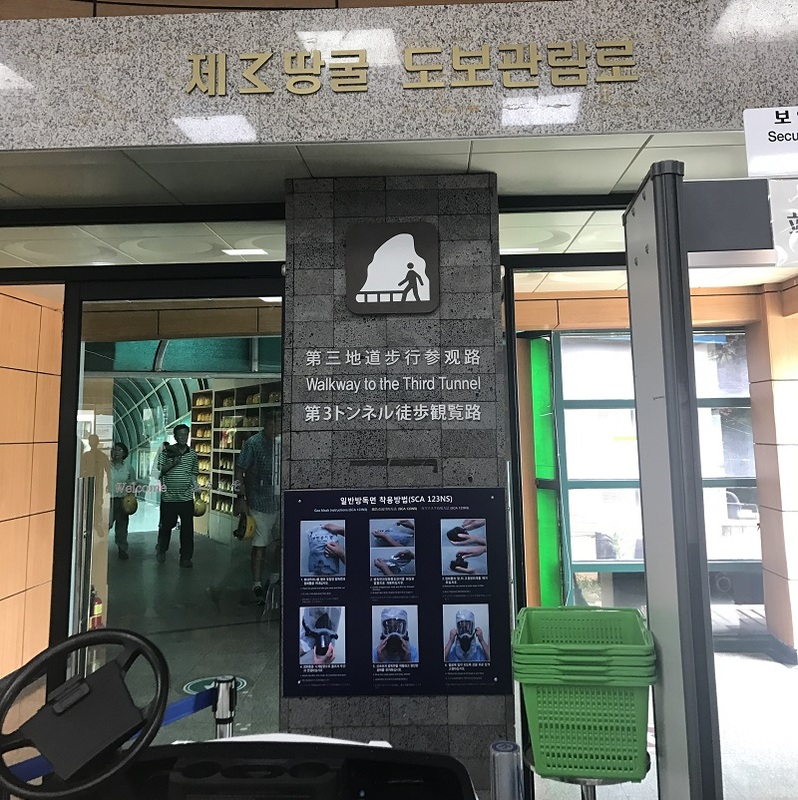 After around 1 hour and 15 mins of car ride , we arrive at the Imjingak Park, this is first stop before entering the DMZ for a place to go to the bathrooms and get some snacks. The Imjingak is located 7 km from the Military Demarcation Line was built in 1972 with the hope that someday unification would be possible. On the tour there isn’t much time to browse the place but we could still see that it is a nice park with various relics and monuments of war. 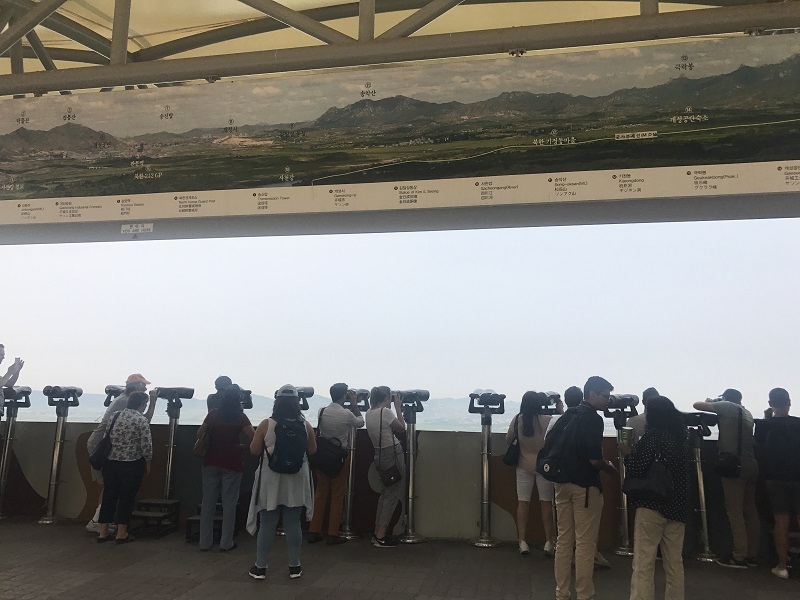 At Imjingak, there is also an observatory to overlook the DMZ . There are some tanks on display that were used during the war. In front of Imjingak is the Gyeongui Train Line which was destroyed during the Korean War in 1950. 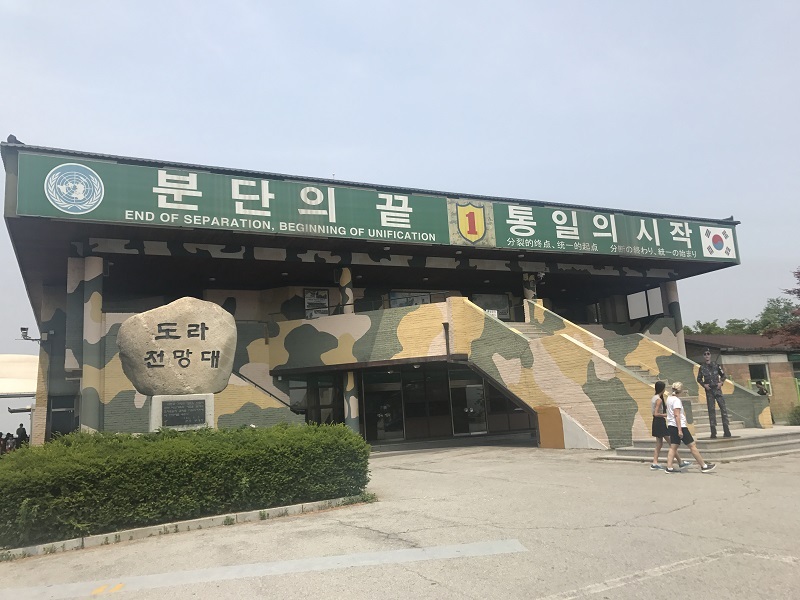 We pass through this bridge after the ID check – make sure you bring your passport because you will not be allowed to go into the DMZ without a passport. Also we were told photos are not allowed when the soldiers are checking the passports on the bus ! After we enter the DMZ area, our tour guide took us to the DMZ theatre to watch an 8 -minute video about the DMZ and explain more about the DMZ and he was very patient to answer all our questions too. The video and our tour guide went over about the 4 infiltration tunnels that North Korea dug. The hall had a lot of information for us to to understand easily how Korea got divided. 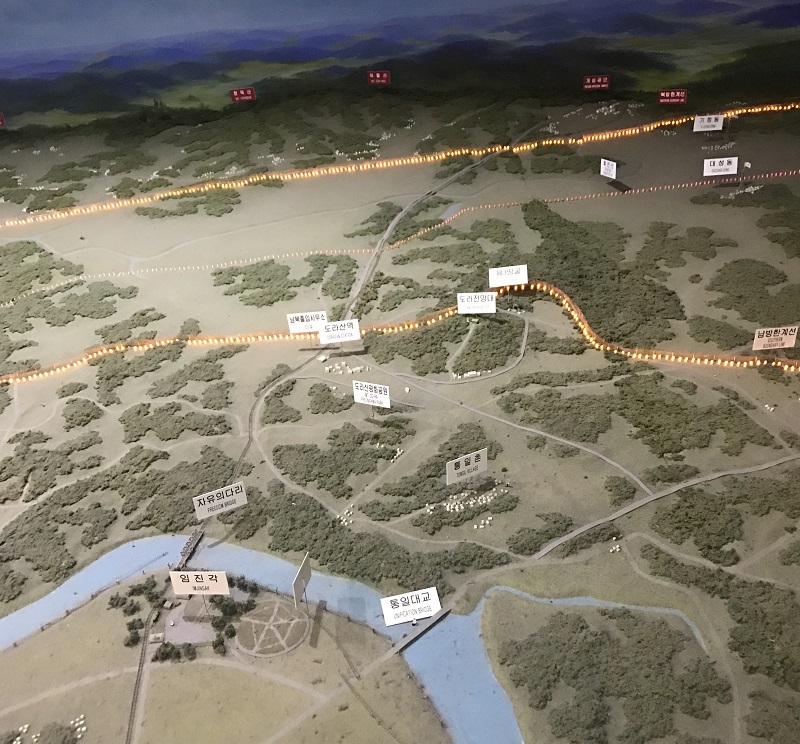 This is a model plan to show the DMZ area and the line that separates the North from South ( the red line). The highlight of the DMZ tour is to explore and go in a tunnel dug by North Korea to attack. 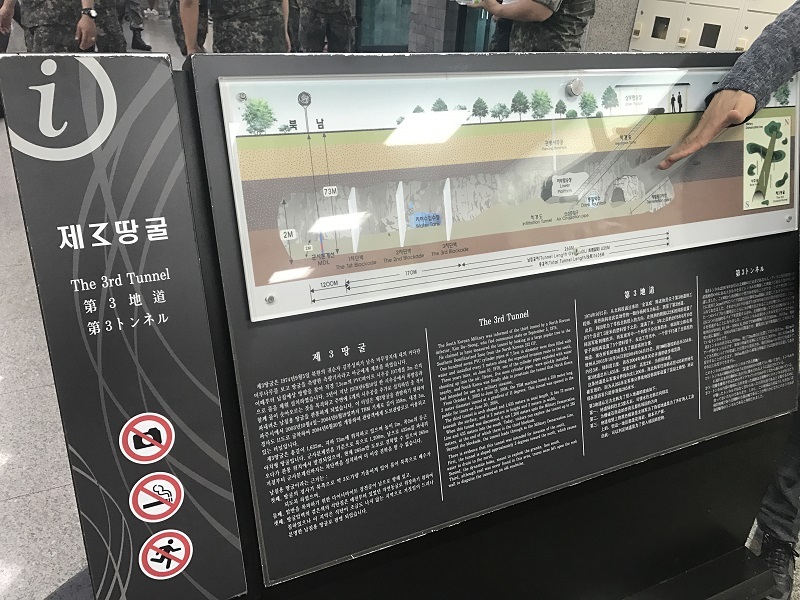 Since 1974, There are actually 4 tunnels discovered underground now, dug by North Koreans, crossing the MDL (Military Demarcation Line). The tunnels are believed to have been planned as a military invasion or infiltration route. After hearing about the stories of the tunnels. We get to go in the 3rd tunnel since it is closest to the Korean DMZ area. The 3rd Infiltration tunnel was discovered after a tip received from a North Korea defector in 1978. The North Koreans dug for 1.6km, until it penetrated into South Korea 435 m beyond the MDL (Military Demarcation Line). It is more than 70m below the surface, which is more than 25 stories downwards ! It is now blocked by three concrete walls — but it still has enough room to transport 30,000 men per hour ! It is said that even though 4 tunnels are found currently, it is assumed that North Korea has dug many more tunnels yet to be discovered ! It’s now our turn enter into the actual tunnel! Before entering the 3rd Infiltration tunnel, it is mandatory to put all your belongings in the lockers: you can only bring a jacket (since it is very cold under 25 floors down!) and a bottle of water – it is a real work out to walk back up the slope which is around 300m long and 11 degrees slope. No cameras or cell phones are allowed in the area so you cannot take photos! There are surveillance cameras everywhere since it is a military area so please don’t violate the rules! Inside the tunnel the ceiling quite low so for your safety you also wear a safety helmet to protect from hitting the ceiling and dripping water. In the tunnel you will spend around 30 minutes and walk up to the 3rd blockage built by the South Koreans after they discovered the tunnel. When you are at that spot we are told that we are only around 175m from the Military Demarcation Line (MDL) to cross to North Korea! 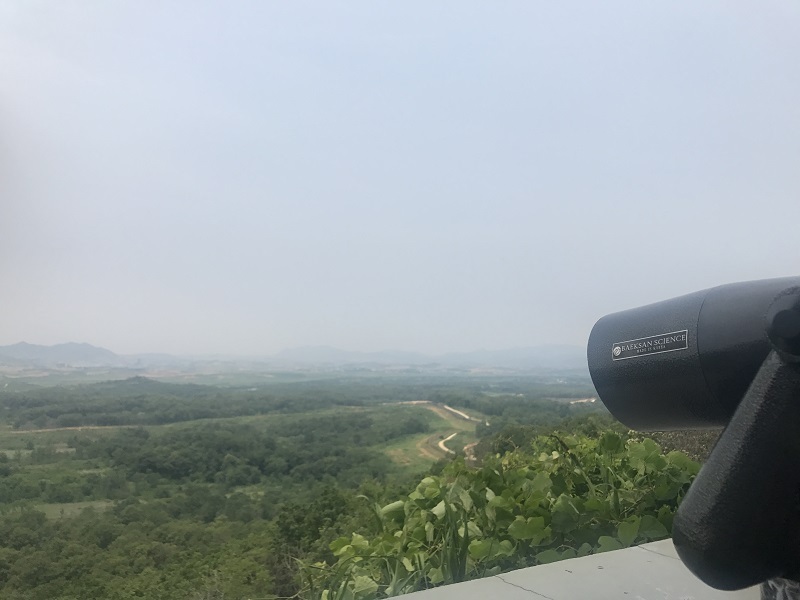 Dora Observatory is the closest observation post to North Korea in the DMZ. From the observation platform, North Korean scenery is visible, and so are the outskirts of Gaeseong City, the 3rd largest city of North Korea. Especially, you can view the Gaeseong Industrial Complex operated by both Koreas. However, our guide told us that due to soured relations with North/South Korea, the complex has been shut down since 2016. If you use the binocular (500 won per 2 minutes to use the binoculars there), a statue of Kim Il-sung can be found near the Gaeseong City. The flag poles of both South and North Korea can be seen there. From the observatory, there’s an interesting story that the tour guide told us. In the 1980s, South Korea built a flagpole in the DMZ area 98.4m high. To respond to that in what some have called the “flagpole war,” the North Korean government responded by building the 160m North Korea flag, only 1.2 km west of the border with South Korea. You can see how competitive North Korea is! 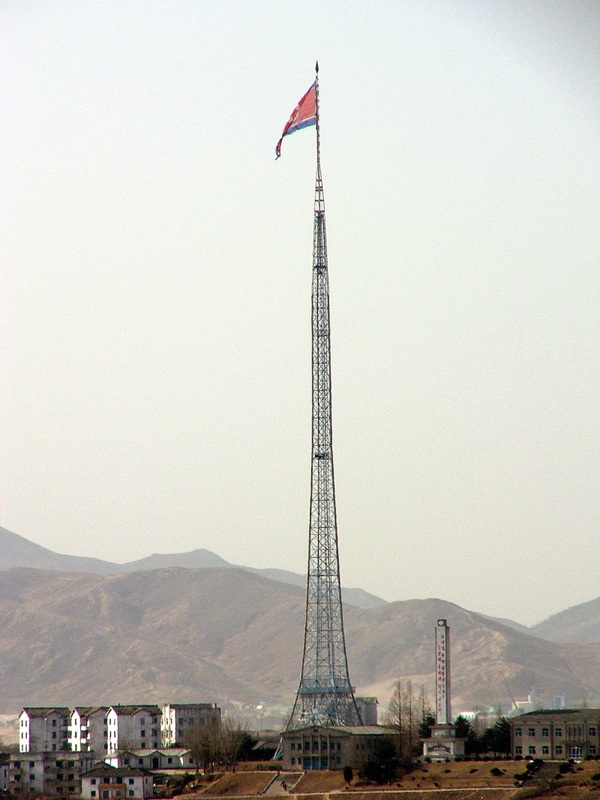 As of 2014, the North Korea flagpole is still the fourth tallest in the world. On a clear day, you can view through binocular that it is actually a deserted town. Like a Hollywood filming set, some lights flicker on and off at set times to create the illusion of people living there. Dorasan station is the last stop of the tour in the DMZ and it holds great significance for the Koreans even though it’s not a station that is fully in use at all. 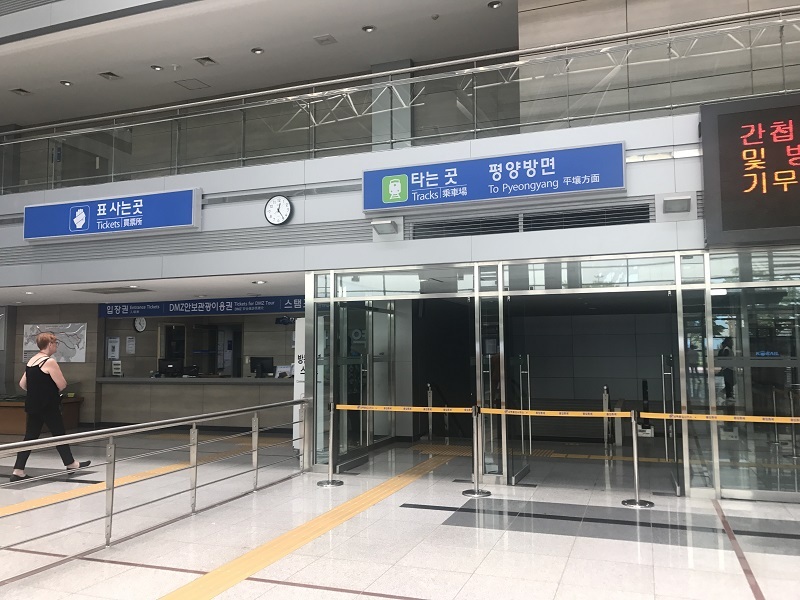 A sign in the Dorasan station reads, “Not the last station from the South, But the first station toward the North.” For now, it is the northernmost station of South Korea which is only 700m away from the southern boundary of DMZ. Dorasan Station is only 205km to Pyeongyang and 56km to Seoul. It implies the hope of a future unification. 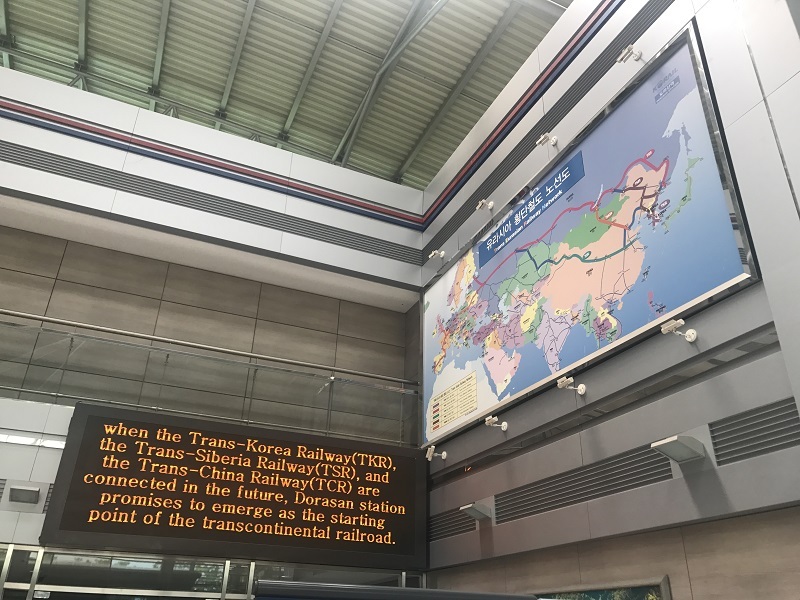 Although the tracks are physically connected, North Korea doesn’t allow trains to pass through, making the expensive station sit unused. There is only 1 train that comes from Seoul daily. Here you can really see that North Korea is really isolated from South Korea even though they are connected by actual land. 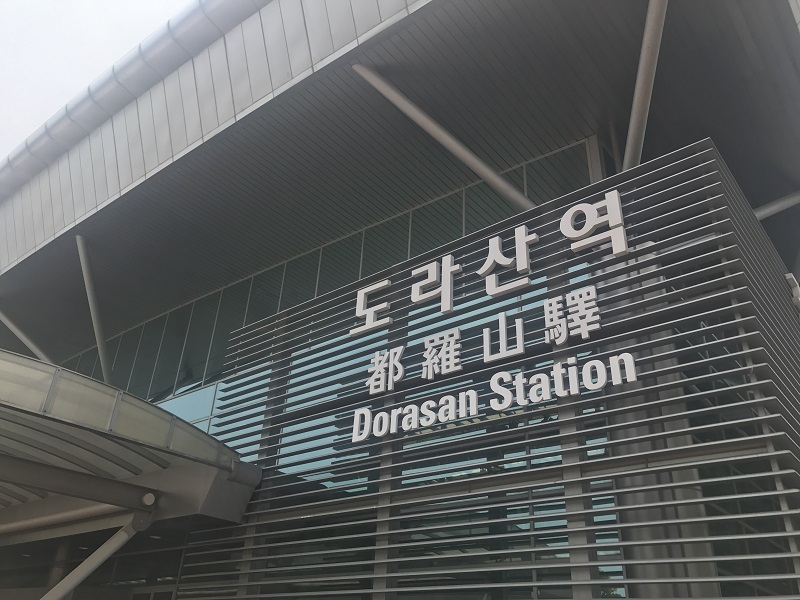 However, Dorasan station is a symbol and it serves as hope for the reunification of two Koreas. 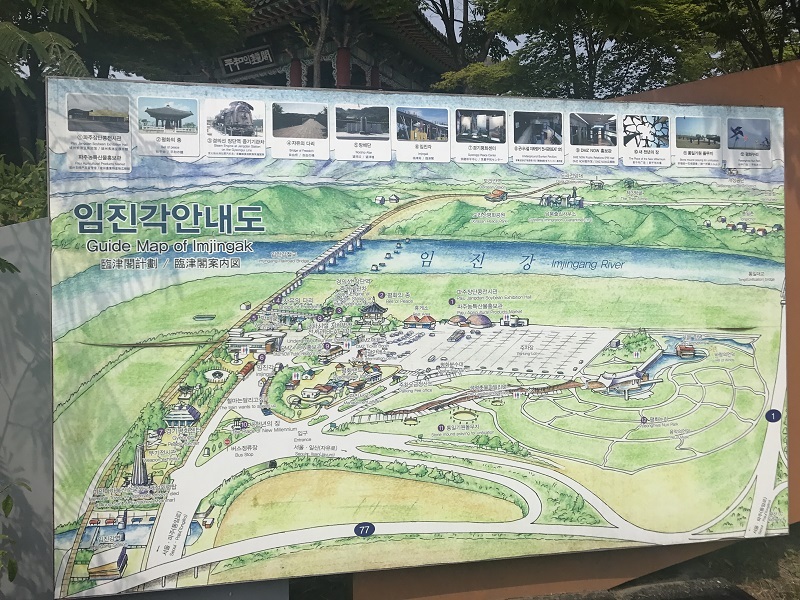 Currently, it’s the last stop, but someday it might take you to Pyeongyang, North Korea’s capital or even to Europe through the Trans-Siberian Railway. Must bring your passport ! The tour starts early at 8AM and ends around 2:30PM only so a good breakfast is really important or bring some food as there aren’t that many places and time to get food in between! 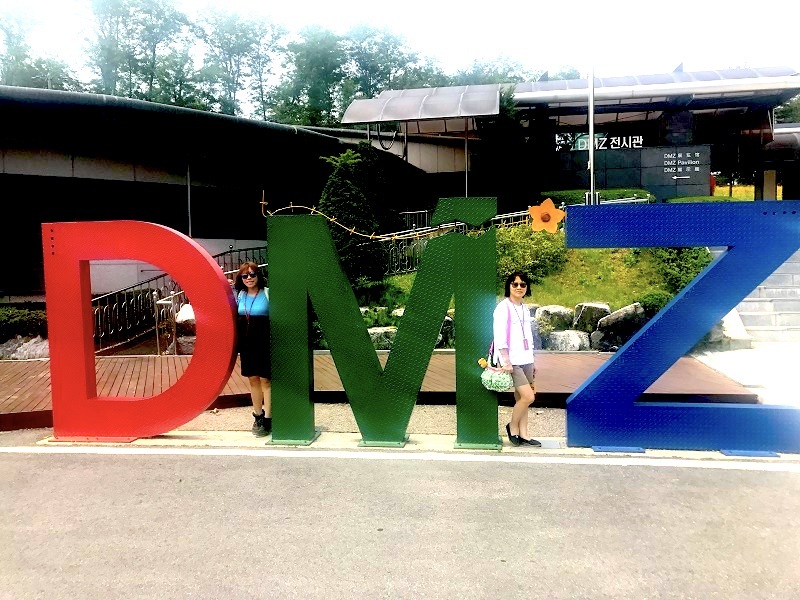 The DMZ tour is a good half day tour to explore when you visit Seoul ! ? That is all from us for now! 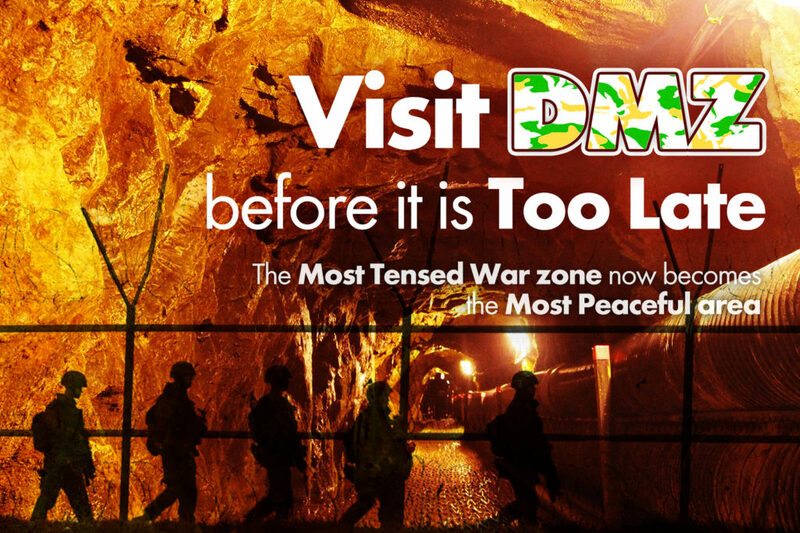 We look forward to arranging your group or private trip to DMZ soon! If you would like to make your own private tour or a customized trip, other itinerary or hire private car, please email us at info@KoreaTravelEasy.com or click the link below! 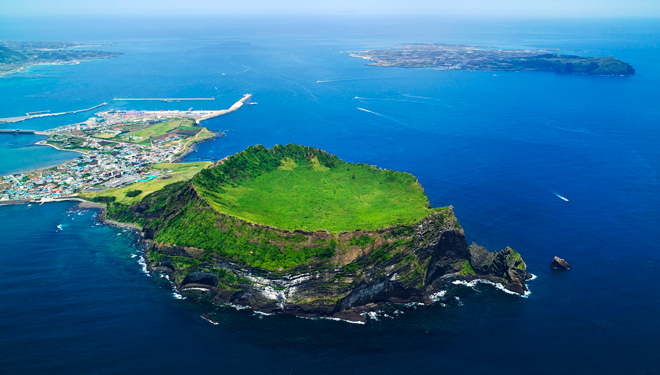 Jeju earned the name of “Islands of Gods” from the number of Gods worshipped (approximately 18,000 gods!) throughout history and according to one legend, the predecessors of Jeju Islanders are actually demi-god who have lived on the island! Located 64 kilometers south of the Korean Peninsula, Jeju Island was also named as one of the world’s new 7 Wonders of Nature back in 2011 and is the country’s most popular holiday island especially for Korean newlyweds. Due to its relatively isolated location, the people of Jeju has incorporated many local legends and mystic beliefs into their culture and a distinctive Jeju dialect, (which is quite impossible to decipher for anyone who’s not familiar with the language!) is also used among locals. Due to its geographical location, wind is a big influential factor in the life of Jeju’s inhabitants and it is evident just by looking at the architecture of the houses built in Jeju Island, which are usually lined behind walls of stones and fields surrounded by stone fences. Speaking of stone, everywhere you go in Jeju, it will not be difficult for you spot basalt, a volcanic rock formation that is commonly found in Jeju Island. In fact 90% of Jeju Island’s surface is made of basalt and it has even given rise to other famous attractions including the grandfather stones (dolhaubang)! Last but not least, you’ll find that in Jeju, the ratio of women far outweighs men and boasts a matriarchal culture where women are the breadwinners and in many occasions, men took on “traditionally” feminine tasks such as tending to children. Do read on to find on the job that Jeju women took on! 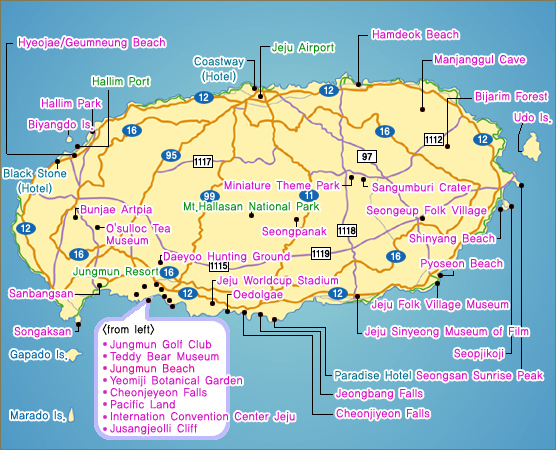 SO WHAT IS THE BEST WAY FOR ME TO EXPLORE JEJU ISLAND? 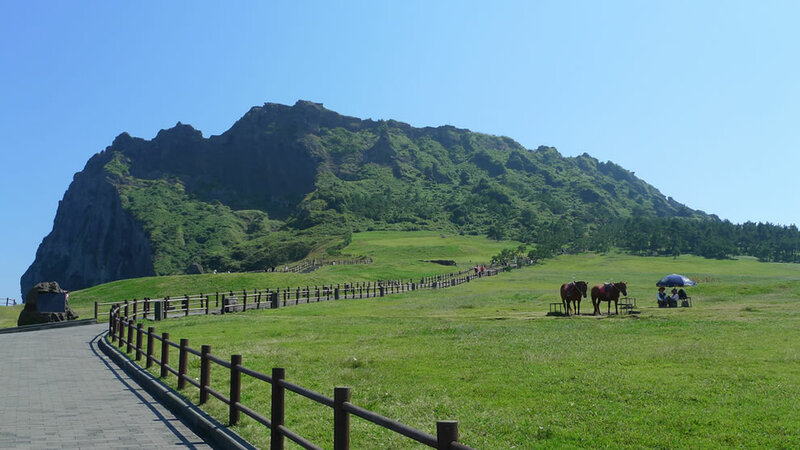 Take up our group or private tour for you to comfortably check out each point of visit in Jeju Island! Now that we settle the ‘how’, time to find out ‘what’ attractions that you should not miss while you’re there! Approximately 200meters long, experience strange spectacles at Mysterious Road as things start to defy your conventional understanding of the law of physics. Due to this seemingly mysterious phenomena, it was named as the ‘Goblin Road’. Watch as objects on the road roll up hill instead of moving down, vehicles with engine off slides uphill… no trickery involved, you just have to be there to experience it! 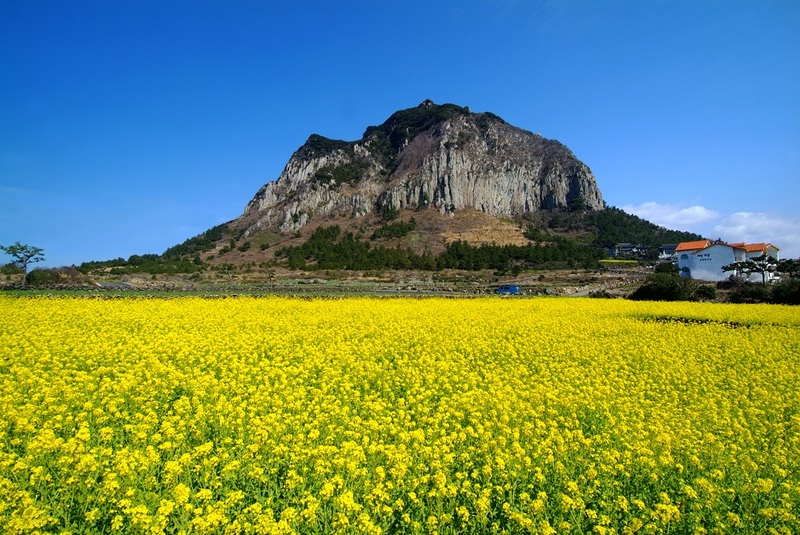 Situated on the southern tip of the Korean Peninsula, Hallasan is also known as “Mount Yeongjusan”, literally “mountain high enough to pull the galaxy”. Hallasan is a designated national park since 1970 and was listed as a UNESCO World Heritage in 2011. There are in total 6 hiking trails along Hallasan and all trails are relatively short (less than 10km), which means it is possible for you to complete the trail in less than a day! With 6 distinctive hiking trails, you will be able to bask in breathtaking scenic view in every season – blooming red azaleas in Spring, clear panoramic view of the countryside and the island’s signature Oreums (uniquely-shaped volcanic mountains in Jeju dialect) in Summer, vibrant autumn foliage starting in Autumn and snowy white layers of snow in Winter. Hallasan is the highest mountain in South Korea, at the height of 1,950m. Hallasan is a mountain where fir tree forest is found which is unique of its kind in the world. Over 1,800 kinds of plants and 4,000 species of animals (3,300 species of insects) have been identified at Hallasan. Listed as UNESCO World Natural Heritage, Seongsan Ilculbong was formed 100,000 years ago by an underwater eruption on the shallow sea bed. Located on the eastern end of Jeju Island, the iconic bowl-form crater in the middle is about 600m in diameter and 90m high, surrounded by 99 sharp rocks. One of the most popular activities at Seongsan Ilculbong is to watch sunrise, especially during New Year. You could also choose to go for a horse-ride, or simply take a leisure stroll along the ridge even if you do not intend to hike up the crater! And at Seongsan Ilchulbong, you definitely do not want to miss: Woman Divers (Haenyo) Show! In the harsh Jeju environment where rice paddle is deemed too difficult to grow, the people of Jeju relied on fishing and trading their catch as a mean to provide for their family. While there were a time where this task was performed predominantly by men, Jeju women quickly took up the task as Jeju men spend weeks on fishing boats without returning home or simply did not survive the brutal ocean. Now classified as a UNESCO Intangible Cultural Heritage of Humanity, be sure to see these amazing woman divers demonstrate their diving routine, from the you could even try the freshest sea harvest ranging from octopus, abalone, clams, squid and more as soon as the woman divers return from their demonstration! Oh, did we mentioned that it’s free to watch this amazing woman divers’ demonstration? Since 18th century, these strong-willed women learned to dive deep at least 10-20 meters deep without breathing apparatus for as long as 2 minutes and often stay in the ocean up to seven hours a day! Aspiring Haenyo starts training at about 7 years old and the average age of women divers is 65 years old. The oldest living women diver who’s actively diving now is over 80 years old! While there are countless number of must-try local dishes such as Mul-hoe, Galchi, Godeung-o, Bing Rice Cake and more(see photo below!) 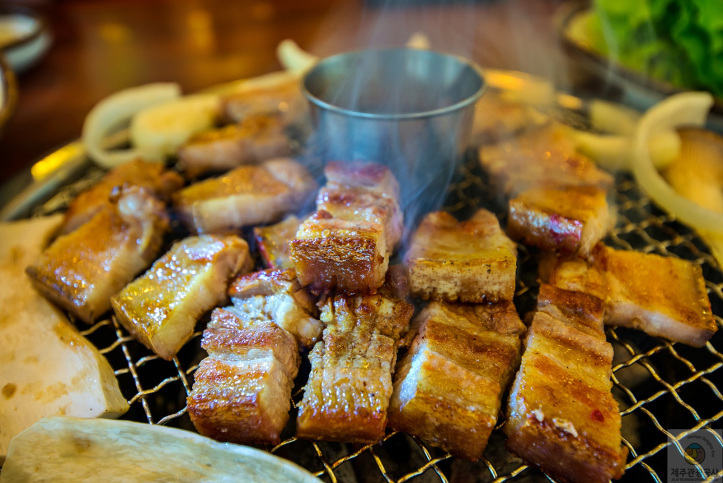 when you visit Jeju Island, today we will put our spotlight on one of the all time favourite: Jeju Black Pork! Native to Jeju Island, Jeju black pork are famous for its extra juicy, flavorsome texture, resulting from having the pork smoked over burning hay which allows the smoke to penetrate and flavor the meat. For a proper Jeju-style Black Pork experience, do eat it with Mel-jeot, a salted anchovy that reduces the pork’s oiliness which guarantees to double your enjoyment! Jeju Black Pigs were kept as a way to dispose of human waste before they are grown into full size to be eaten. In other words, “food” of the black pigs are human waste and their house was built outside the latrines so the food can be delivered directly! Jeju Black Pigs did not get its name because of this! Its name derives directly from its outer appearance, which is characterized as a smallish pig with a black skin and smooth coat of hair. And so where can you find this delicacy you might ask? Well, simply sign up for a tour with KoreaTravelEasy and since it is inclusive as lunch in the East Tour, you will get to enjoy Jeju Black Pork in no time at all! Bring along outfit and gear for all weather because at Jeju, a bright day can turn into a rainy before you know it! 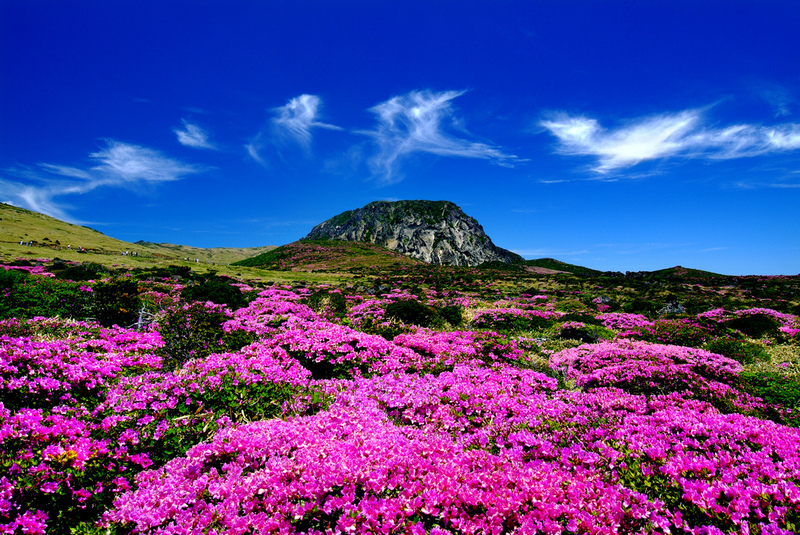 Visit during Spring, Summer or Autumn to fully enjoy the nature beauty of Jeju! That is all from us for now! We look forward to arranging your group or private Jeju Island tour soon! If you would like to make your own private tour or a customized trip in Jeju Island, other itinerary or hire private car, please email us at info@KoreaTravelEasy.com or click the link below! Yesterday I went on a fun filled trip to Gangneung, which is located in the Gangwon province. If you watch the Kdrama Goblin, you would know that Jumunjin it is the area where they filmed the movie. I booked the trip via KoreaTravelEasy, which has many unique travel tours such as Making your own Fresh Korean Cheese and tickets to see shows and concerts. With a huge variety of choices, you can easy book itineraries for your whole family or couple dates on the tour. 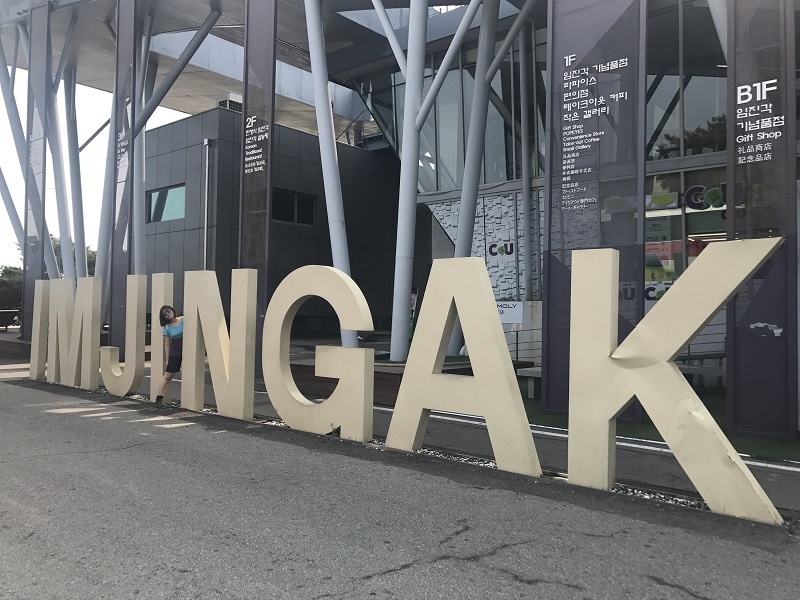 I chose the 1 day trip to Gangneung because it allowed me to go to 6 different places in one day! The pickup point was between Myeong dong or Hongik university station (Hongdae). After getting on the bus at Myeongdong (8am), i fell asleep. The entire journey took 3 hours so despite the early hour pickup, you can catch up on your sleep on the bus. The place had rental shops where you could pay to ride on the bicycle. 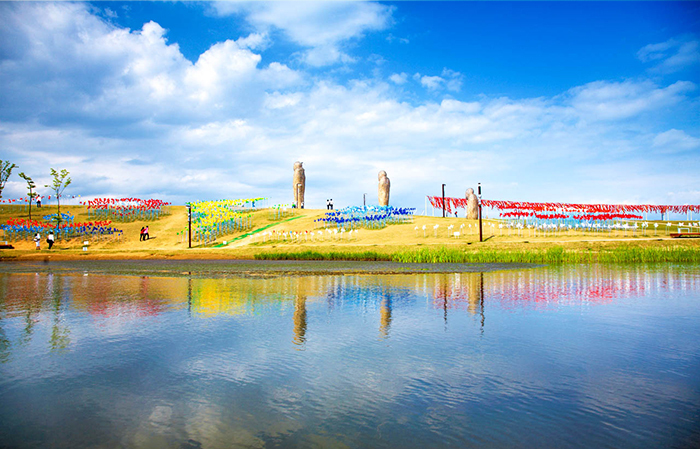 It cost 20,000KRW for an hour of leisurely cycling along the river outline. The entire place had a romantic atmosphere to it. It would be great to cycle with your partner here, along with all the other couples by the river. Gyeongpo lake was a huge piece of blue. Each time the wind blew, the surface of the water trembled. It was the perfect place to unwind. Day Tripper Around Seoul: Insadong + Seoullo 7017 at Seoul Station! While Seoul is avidly associated with the Kpop culture, it is a city that offers way more than that. Today at KoreaTravelEasy, we celebrate South Korea’s vibrant culture with a heritage focused day-tour in Seoul, exploring the perfect blend of old and new. Unequivocally one of the most representative staple food in Korean cuisine, Koreans’ love and dedication for kimchi dated as far back as the 7th century. During cold winters where there were difficulties in cultivating of fresh vegetables, preserving vegetable by pickling developed naturally as an alternative storage method and there’s no looking back since then! Today, Kimchi is not only eaten as a side dish, it is also a main ingredient in an assorted dishes including kimchi-jjigae, kimchi-jeon, kimchi fried rice and more. Kimchi’s Varieties: Not All of Them Are Hot & Spicy! While we typically picture Kimchi as a red, spicy fermented vegetable, there are actually more than 100 variations and the taste of Kimchi diversified depending on the region and season. For example, kimchi from southern regions such as Jeolla-do & Gyeongsang-do, tend to be spicier and saltier and it’s the opposite for kimchi from the northern regions such as Gangwon-do & Chungcheong-do. Loaded with vitamins and tones of healthy bacteria, Kimchi was listed as one of the world’s five healthiest foods in 2006. So what are some of the health benefits you would get when you make Kimchi a staple of your diet? Particularly relevant in today’s stressful environment, research has shown that by eating Kimchi, it helps to replenish the lactobacilli count which helps us to digest the food we eat and fight off common food borne pathogens in our digestive tracts at the same time. Rich in fiber and probiotics, eating kimchi will helps to make you feel fuller quicker and the probiotics in kimchi assist in weight reduction by stopping sugar addiction. 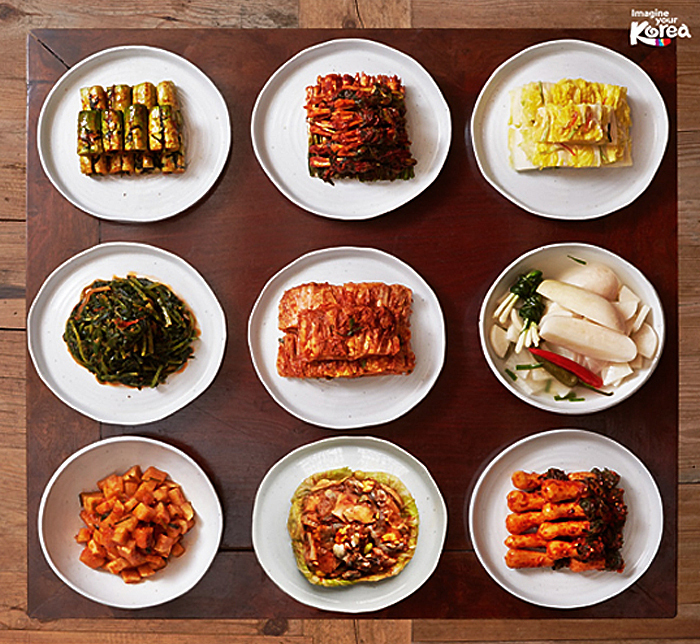 In other words, Kimchi, which is also low in calorie can be your best friend especially when you’re on a diet! Yes, you have heard us right! Researchers have speculated that the antioxidant properties of the ingredients used in making Kimchi are responsible to this seemingly fountain-of-youth that all Koreans have. ?? 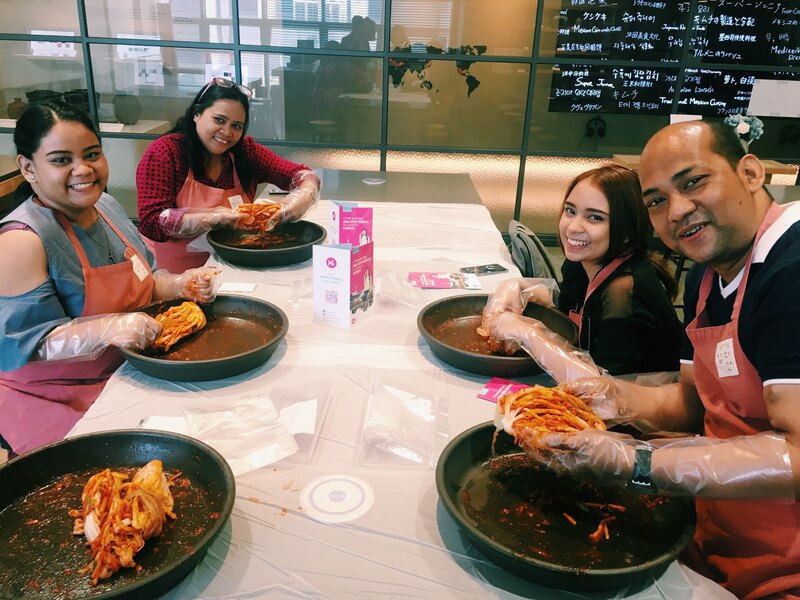 MUST TRY ACTIVITY: MAKE YOUR OWN KIMCHI! A visit to Seoul is not complete without experiencing the process of kimchi-making for yourself! The program is catered for all ages and is a fun-filled activity suitable for a whole family to share! Throughout the program, you will be led by an expert who will take you through process step-by-step and are held in either English or Chinese. What’s more, by the end of the program, you get to take home that Kimchi that you have made! But Where Can I Go For This Special Experience? While there are several options when it comes to finding out more about Korea’s iconic Kimchi, we recommend you take a trip down to Insadong and here’s why! It’s where you can find the only food museum that is chosen by CNN as one of the top 11 food museums in the world! 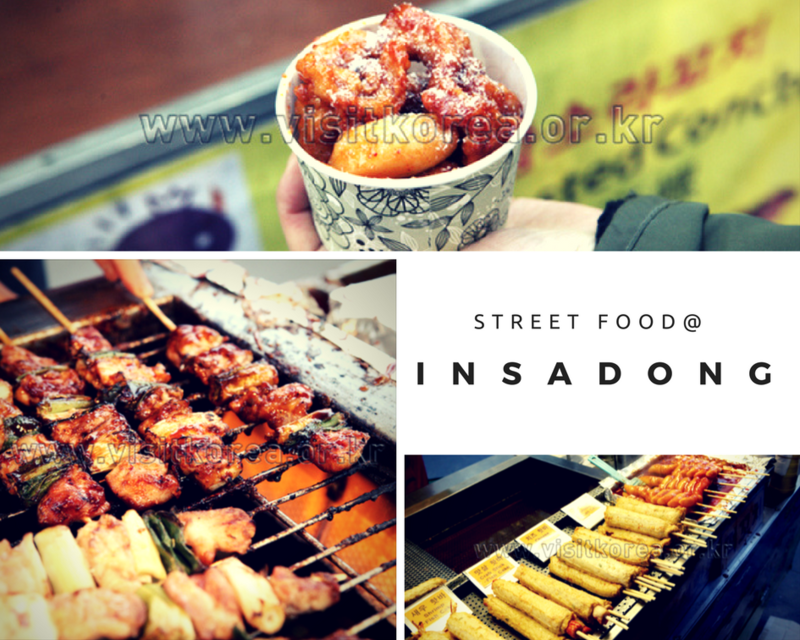 From traditional Korean arts and crafts to fine art, your cravings for Korean cuisine can also be satisfied easily with a wide range of options, from street food to cafes and specialized restaurants offering traditional Korean meals. Fish cake, spicy rice cake, hotteok, steamed egg bun… just check out the photos below! One of the key factors in making tasty kimchi is by ensuring that kimchi is being fermented at an optimal temperature, as such the vessels to store kimchi after preparation become vitally important. While Korean families today are assisted by specially designed ‘Kimchi Refrigerator’, in older days, kimchi is stored in jars and then preserved by burying the jar almost entirely underground. While kimchi can be easily purchased in supermarkets, it is interesting to note that the practice of kimjang is still widely practiced (some say old way is still the best way!) and it is not uncommon to find kimchi jars in Korean household! Officially opened on May 20th 2017, Seoullo 7017 is the latest addition to the city’s landmark and a unique tourist attraction conveniently located at Seoul Station. It all started with a negative safety assessment of the overpass in 2006, but instead of demolishing this symbolic infrastructure, a decision was made to preserve and turn what used to be ‘a road for cars’ to ‘a road for people’. Why Is It Named “Seoullo 7017”? Literally translates to “Seoul’s road”, the “70” in the name refers to the year 1970 when highway was first constructed. “17” is a reference to the year 2017, when its transformation into an elevated public park was completed. 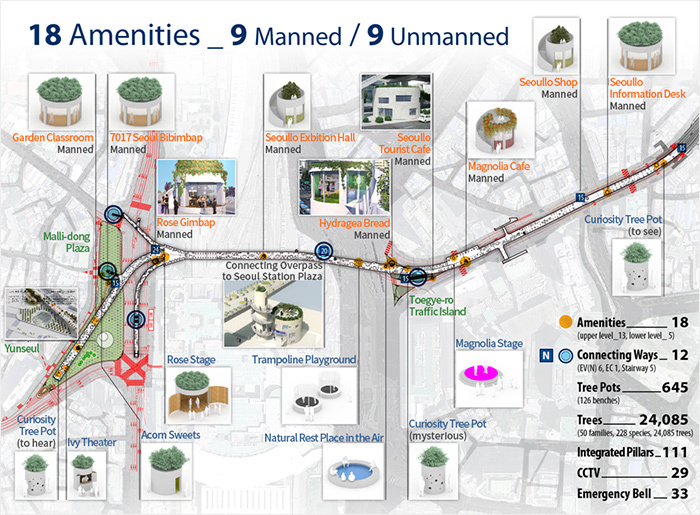 It also features 17 pedestrian walkways and each walkway provide easy access to different parts of Seoul. 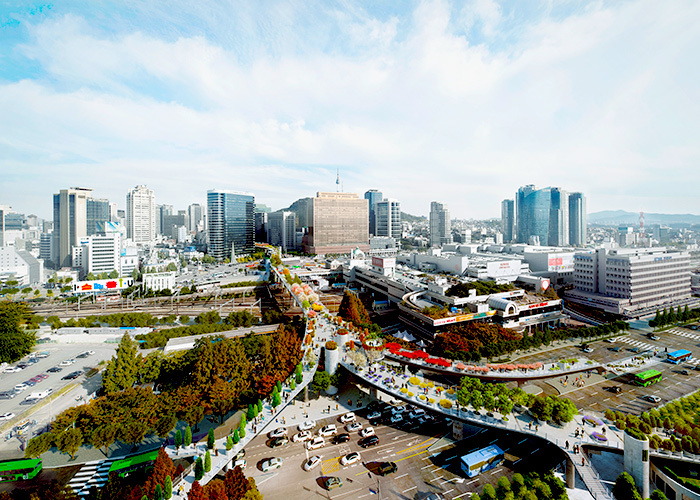 Also known as the ‘Sky Garden Within the City’, this transformed pedestrian overpass is 1,024 meters long, walking from one end to another takes about 20 minutes. There are a total of 18 amenities and features about 215 types of plants in 50 families, totalling up to 23,195 trees. Where Is This & How Do I Get There? As shown in the image above, there are 17 main entry points to this overpass walkway. 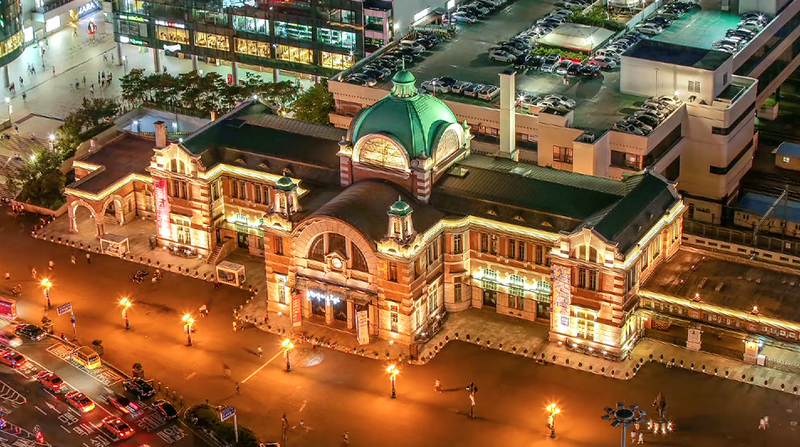 However, we recommend option 9 where you will be able to enter from Seoul Station Square. 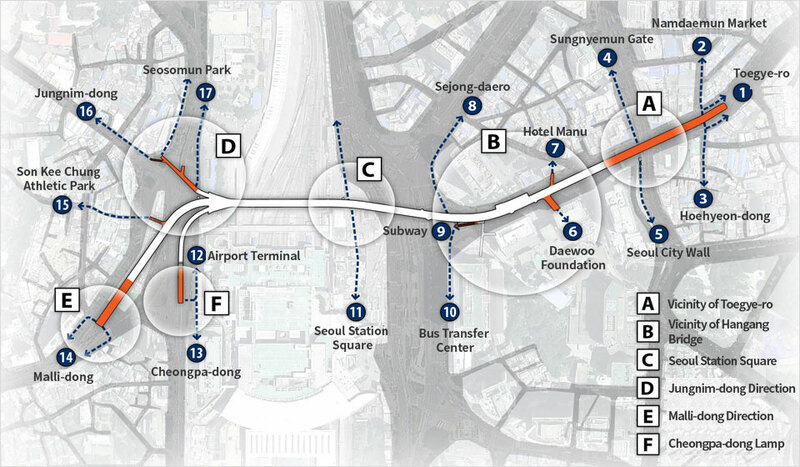 To get there, simply travel to Seoul Station (line 1 or 4) and look for exit number 8. ?? MUST-SEE & MUST-DO: FUN EXPLORATIONS IN BITE-SIZE! 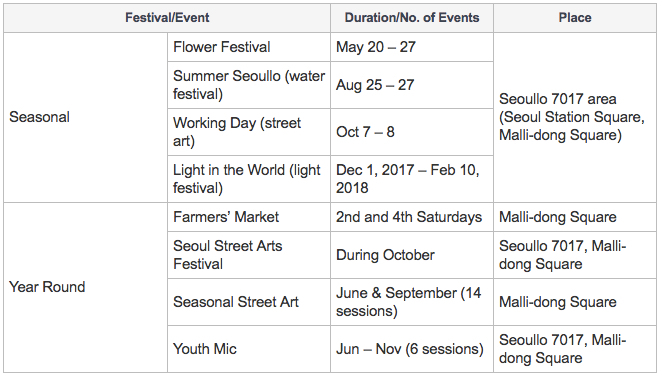 Participate in one of the scheduled festivals and events at Seoullo 7017! Sign up for the themed, guided walking tours organised to explore the beauty of Seoul! Visit Culture Station Seoul 284 (reconstructed space from the building of old Seoul Station, sitting right next to Seoullo 7017) and embarks on a time-themed cultural journey, with programs ranging from exhibitions, performing arts to free movie screening from now until July 23rd. Whether it is walking down the bustling Seoul station or the crossroads of modern and traditional, Insadong, it will not be difficult to get yourself a cup of coffee from brands that you’re familiar with or local chains that set its presence in almost every corner of Seoul. Interestingly enough, the boom of coffee drinking in Korea can be dated back to 1902, over 100 years ago. Coffee shops are called ‘dabang’, which literally means tea house and was only available for royalties or people in high societal status. It was a meeting place for formal affairs rather than a casual venue for people to enjoy social interactions. The popularity of ‘dabang’ continues to soar until 1999, when Starbucks opened its first store in South Korea. 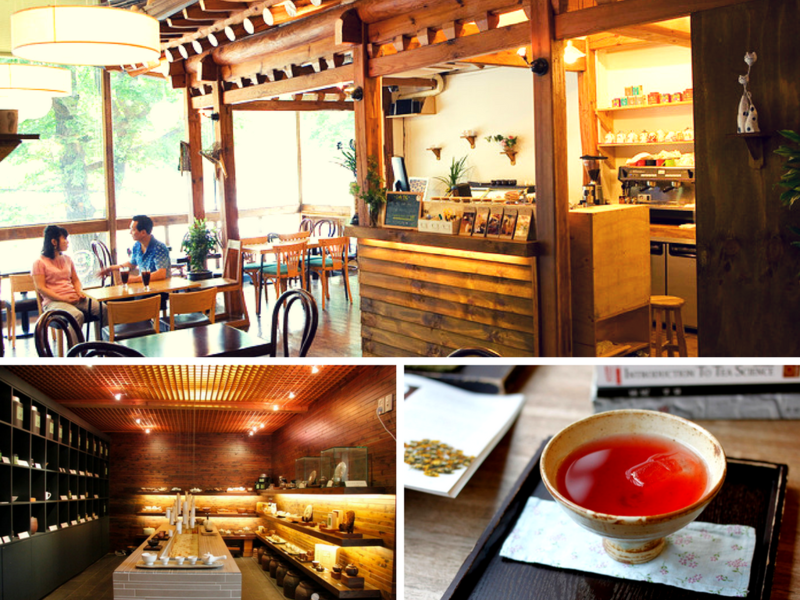 As of 2015, it is estimated that there are at least 49,600 coffee shops in South Korea. While more foreign chains have established itself in South Korea, it is still possible to find traditional ‘dabang’ especially in Insadong area. So, if you’re looking for a look back at olden days of Seoul, it’s definitely a scene that you would have to visit! Travel your own free and easy style with KoreaTravelEasy's EXCLUSIVE Seoul private car and driver to make your own private 1-day tour. Enjoy door-to-door private van service in Seoul city with unlimited stops (within your car hire time). Explore Seoul according to your schedule and comfortably. Do not worry about finding transportation in Korea anymore!